As we get closer to the full reports release, the AFL as usual drips the information out to us as needed. This week, player wages and some handy graphics. 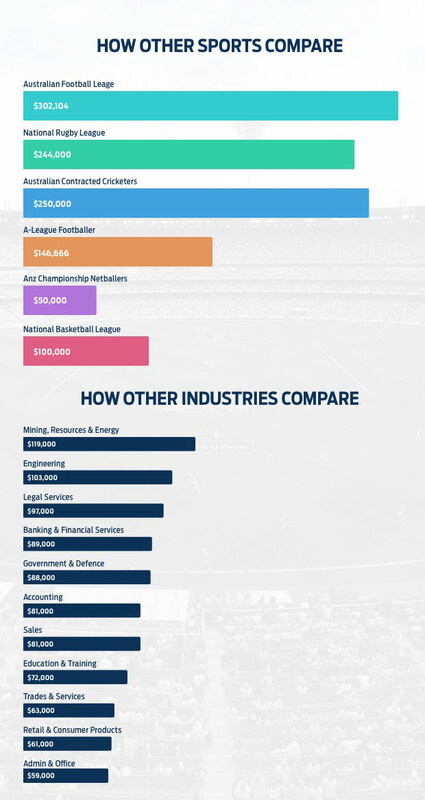 The AFL website reports that AFL players have streamed further ahead of other sports – and other industries – as some of Australia’s highest paid professionals, the most recent Total Player Payment figures reveal.